Fields Of Violent, is a collaborative effort, as the project is by composer and producer Rafael Katigbak, whose material such as the EP "Into The Unknown", features performances by musicians from all over the globe. This release brought to mind, Evanescence and Lindsey Stirling, both of which, have taken the classical orchestration approach to their recent workings. Well Evanescence has, while Lindsey Stirling is always mixing with numerous pieces. 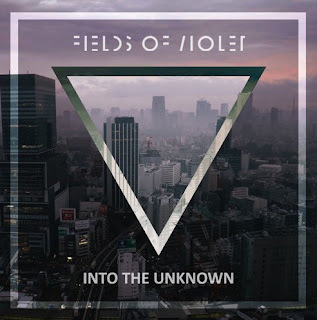 Nonetheless though, "Into The Unknown", EP by Fields Of Violent, is a lot like of how these other acts, did their working's recently. Being very fluid yet vibrant. It taking the likeliness of orchestration mixed with rock music., especially on such songs like "Feeling", "Starlight", and "Transcend". These selections being very frank yet direct in sound of style. If you partake in listening in, to the material you are taken aback, by the source material, it being hard yet heavy, with catchiness layered in-between. It becomes a well rounded EP of working's that make it work for what it is worth. Fields Of Violent just being another one of those acts, you have to hear for yourself to get.